This is the website of the Saunders Lewis Memorial Fund. The Memorial Fund was established in 1989 to acknowledge Saunders Lewis’s contribution to the literary and cultural life of Wales. With the support of enthusiastic individuals the financial target of £150,000 for the fund has now been surpassed. The Fund is administered by a Steering Committee which oversees the biennial scholarship which is offered in three fields, representing the interests of Saunders Lewis himself: drama, literature and politics. The aim of the scholarship is to assist young people from Wales to visit another European country to study their chosen subject and to present a paper in the Welsh language. Saunders Lewis was born in 1893 in Wallesey, Cheshire, and was educated at the Liscard High School for Boys before studying English and French at Liverpool University. His academic studies were interrupted by the First World War but he returned to the University in Liverpool before being appointed to the Welsh Department of the University College of Swansea in 1922. A founder member of Plaid Cymru, the Welsh Nationalist Party (1925), he served a prison sentence following setting fire to construction material at the RAF Bombing School at Penyberth on the Llŷn Peninsula, and subsequently was dismissed from his post at Swansea. Having supported himself by journalism, teaching and farming he was later appointed lecturer in the Welsh Department at University College, Cardiff. 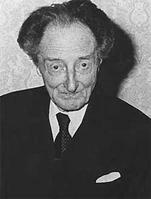 Saunders Lewis, generally regarded as the greatest figure in Welsh literature of the twentieth century, excelled as a scholar and as a creative writer. He was the author of numerous plays and poems as well as two novels. He also wrote a wealth of historical and critical studies on Welsh Literature. Bruce Griffiths, Saunders Lewis. Writers of Wales series. (Cardiff: University of Wales Press, 1989). Alun R. Jones & Gwyn Thomas (eds. ), Presenting Saunders Lewis. (Cardiff: University of Wales Press, 1973).